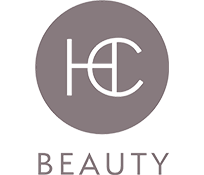 At HC Beauty, our growing list of innovative brands offer your salon supplies for high quality performance and an edge in the marketplace. Beauty industry tools, born from a hair designer’s creativity, are made to be gentle to hair, people, and with respect to the environment. Salon tools for the salon professional. The Burmax Company has been serving the professional beauty industry since 1948. This family-owned and operated company is one of the leading manufacturers, importers and distributors of professional beauty and spa supplies.